Have you been following the proposed laws governing the Internet? Check out this TED talk. Oriental medicine has its place in the world. Blended with with Western Medicine it seems to make great sense but when there's a conflict between the two, my background suggests that Western medicine is better. One thing that I have observed about Oriental medicine is that if an action causes an affect, or seems to cause an affect, it is deemed as a fact and should be used forthwith. Here is one place where my thinking departs from the thinking in Oriental medicine; I lie controlled experiments before I draw conclusions. The same is true when observing behavior between individuals and technology. The seems to be a relationship between age and how technology is used. For example, most of us are at an age where assignments should be clearly defined and delineated. This class isn't doing that exactly. I build my expectations, my thoughts about what makes this a useful experiment into my blogs. Generally speaking all students of this level of class should be self-motivated and self-directed seeking some collaborative guidance to define issues and solutions more quickly. So here's a summary of a reasonable set of expectations. First hands on is going to be the best teacher so reading about creating blogs and how they work is only step one. Mainly we need to involving and doing. To be involved we need to setup a blog. You have done that. Well, most of you have. You need to read blogs to see how other use them, and then you need to comment. That's critical in blogging. We have done some research, in blogs and professional journals, and then we shared our reviews and reactions in a blog. And then we commented on them. What did we learn about how blogs are being used in general and more importantly what is professional research saying about the use of blogs in education. Then I'm suggesting that we explore the gadgets and features of a blogs by setting up RSS's, lists of blogs we're interested in reading routinely, lists of websites we find interesting and think others may also appreciate. And lists of books and journals. Next step is to add some media such as images and videos. Maybe find some code from another website and include that code in the blog. Include links within the blog itself. Use more than words. Lastly we need to dive into marketing our blog. I know that just writing the blog, like writing a diary, can be satisfactory in itself, but having some read it is even many times better. How to start? Tell your friends and family and colleagues about your blog. Read other blogs and write comments including a link to your blog in your comment. Is there a portal online that lists blogs? Can you find that? I suspect a posting every of day is a good schedule. One would think that blogging would be independent of weather, much like newspaper and mail delivery. However, when weather closes airports and floods roads and basements, blogging suffers, probably because bloggers are sandbagging or debating options for the next flight home. I hope all of you and your favorite people are safe and dry. We are but there have been distractions. I received an email with a blog blog that I am forwarding not so much for you to read in detail but so that you can see another use of blogging. More from me after this morning's class. I don't frequent Wikipedia but it does offer some quick information from time to time, such as the population of Tanzania. Today I visited the site to learn more about the blackout. Legislation is always hard to understand and this is no exception. I suspect I could find ways to argue both sides of this issue but it seems as if this may be an ill-constructed piece legislation missing the mark and causing more chaos then order. I did submitted a letter to our representative suggesting that education, what we're trying to do here at WOU, is more important than regulation. Take a look. Today only. What do you think? Some of you have been trying out the email subscriptions and similar features. Most of us can activate a subscription by clicking on "Scribe to: Post (Atom)" which should sets up something in you email or aggregator that notifies you when a new blog entry is posted. I use that to monitor your blogs. There are also options where readers can enter their email addresses, or you can enter it for them, and they receive an email when there's a new entry. Typically the recipient has to approve the option before the emails are received. Below are a couple links that talk about using subscriptions and RSS's. This is the week of gadgets. Think of it as an adult playing with children's toys not only for the joy of playing with the toys to to better understand how the toy works and why it brings joy to the child. I'd like to see a blog list on each site with a link to my blog at least; so I can link back to my blog easily after reading yours. Also consider including links to your classmates' blogs. Also consider linking to other related blogs which may be a separate gadget for organization sake. I see some calendars, with advertising no less, and some news feeds. A list of favorite websites may be a gadget option. Consider adding tags to your postings so you can categorize or organize them. Have you wondered what the facebook, twitter, and other popular icons are on some blog pages? How would you use them? The first advice for writing a good blog is reading other blogs. I hope that you are indulging your instructor and reading his daily, or at least every other day. I hope also that you are reading your classmates' blogs. They are offering some great insights into blogging. I just read the reviews from Elizabeth ( ealligood11.blogspot.com ), also linked on the left of this blog as "Elizabeth's blogging world." It's been a great morning reading blogs and stretching, not too far, my creative juices to comment on some of them. So the picture is forming. We've met most of our classmates, we've checked what others are doing with blogs, we've exchanged some ideas and reflections, we've gone beyond the "this is my first blog." We're ready to dig deeper into this media and technology. That's the challenge for the next several days. When you're logged into your blog (in blogger.com) select Design and add some gadgets. You have opportunities to create links to other blogs and I would strongly recommend links to all your classmates or more easily a link to my blog which has links to the blogs of all the responding classmates. Yes, I'm still missing a couple responses. Explore the gadgets. Try different ones. What do they do? How can they help me? How can I manage my students, my peers, my interests and my life better using some of these gadgets? Are you using "tags?" How could they simplify my complex interesting life (meaning your life is interesting, not mine)? Enjoy you weekend. I'm about to shift gears and go bake chocolate chip cookies and clean the house for our Chinese guests these next three weeks. Take a look at how Teacher Research Institute uses blogs at WOU. I don't expect you to read all these, but sample a few to see how many persons can share and cross reference information is a very easy way. This came to me as an email. be subscribed to so that updates come directly to your email inbox. Maybe we're on the stoop of a big world of blogs and we're not certain what it's all about. We've heard rumors and maybe even had a taste one way or another. But what to the pros say about this media. Let's not sit on our thumbs and wonder or hope for one opinion from the instructor, let's hit the journals in the virtual library of Hamersley or others around the world, read some articles and report back in each of our blogs. Simply put: find some professional journal with articles, at least two, on blogging in education and write a summary and brief reaction on the articles. Then read each other's articles (they linked on the left of this blog, and comment on them, at least three other blogs. Focus to get this done by the weekend, January 12. The last blog posting was "Why Blog?" This one is "What to write?" Let's start simple, something we can all handle very easily: an introduction of ourselves. For the first blog just write something about yourself. Tell us about your connection to education, are you a teacher; why you're taking this class, what are your expectation and goals; and some thoughts about how you might use a blog. You can also add something about your garden or last weekend's adventure or not. Gabriel will be five weeks old Wednesday. We spent his second and third weeks of his life while visiting our daughter and her family in North Dakota. Angelmary, our honorary daughter, will be starting her first class at WOU Monday. Those are the highlights. I actually am a mathematician turned toymaker turned educator; a North Dakotan turned Alaskan living in Oregon. Although my birth date is long enough ago that I might consider retirement, but every time I walk into a classroom or exchanged ideas with students, I hope never to retire. Somewhere in my being is a story which may never be written so I write a blog. Blogs may be an great tool for teaching, learning and sharing knowledge, so I write a blog. Many days in my life have been routine but some have offered me great experiences which I hope to share, so I blog. After you have created your blog, introduce yourself. Living in the foothills of the coastal range has a major drawback for computer and gadget geeks. Cell phone reception is poor at best, satellite connections to the Internet are limited in speed and volume and television is limited, especially when the user doesn't subscribe to DirectTV. This of course doesn't outweigh the beauty of nature and the privacy this location provides and the unconditional affection shown by the livestock and pets. Monday, when one of the Oregon football teams was playing a famous game, we back-country folks had to wait for the evening news to hear what had happened. Or jump online to catch the score from time to time. The top hit on the Google search for the Rase Bowl score actually was a blog. Someone decided to blog about the game as it proceeded, or maybe it was a legitimate news media with a reporter writing a play by play article. Either way it had the opportunity for me to comment on the writing. that. Some bloggers are actually journaling or keeping a diary for everyone to see and others are sharing information they think might interest others even if it's a select group. All invite comments and feedback. 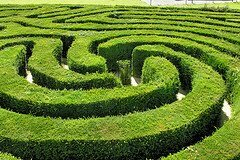 So how can educators, teachers and students jump into this maze and make it beneficial for teaching and learning? Yes, I am inviting your comments, suggestions and thought. What do you think?